"You could get these screws out pretty quick and have it in in a matter of seconds," Scott Ferguson, who works for the State of Michigan Weights and Measures Department, said. 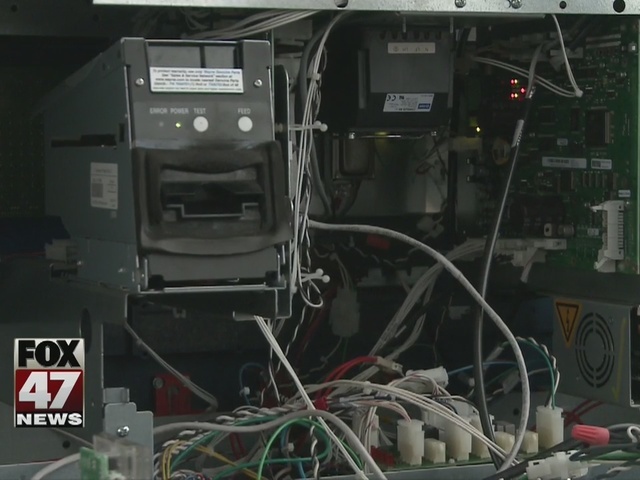 He showed how quickly and easily someone can open a gas pump and install a "skimmer" - a device that can pull personal information from a credit card swiped at the pump. The Federal Bureau of Investigation is looking into what it calls a rash of the use of these skimmers in Michigan. "That's one of the big time threats with this particular crime, it can happen really quickly, folks don't need a ton of technology to do it," Ted Docks, Supervisory Senior Resident Agent for Lansing FBI, said. It happened at a gas pump in Howell. "During their routine checks of the dispensers they found what they believed to be a skimming device of credit card information of customers," Ferguson said. "They were proactive, they shut the dispenser down themselves." If the station doesn't open up its pumps and check, Ferguson says it's almost impossible to know the skimmer is in there. But customers can protect themselves against fraud after the fact. "Keep a very close eye on their statements, and if they check their balances online they can look for any kind of charges there and then contact their bank or their local police if they notice any fraudulent charges," Ferguson said. He says you can also pay inside instead of at the pump to avoid skimmers. "Now that folks know we're kind of looking for this, hopefully that will push [the perpetrators] out of our area and help to stop a lot of these crimes from happening here in Michigan," Docks said. Some gas stations are adding extra security to gas pumps like unique locks and security tapes. Some are even installing systems that shut the pump down if the front panel is opened.